When it comes to grilling, there is probably no food that goes on the grill as much as burgers. 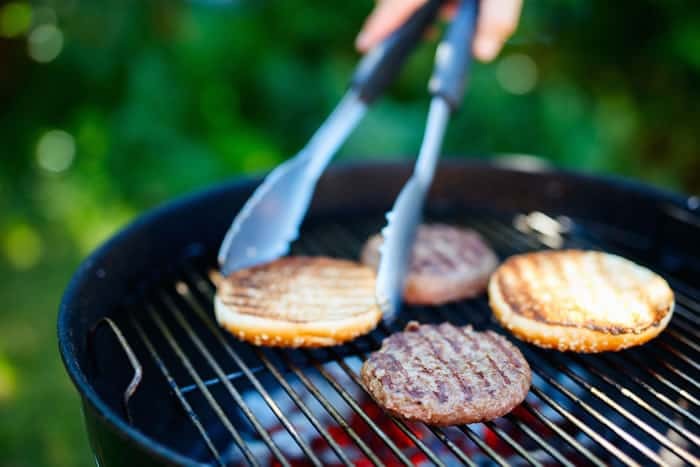 For some people, the reason that they go with burgers is because they are relatively easy, and they come off the grill tasting great, but if you are serious about your grilling, then there is more to it than that. Follow these ten hacks to help you grill perfect burgers every time. To make great burgers, the type of ground beef that you use will make a major difference. 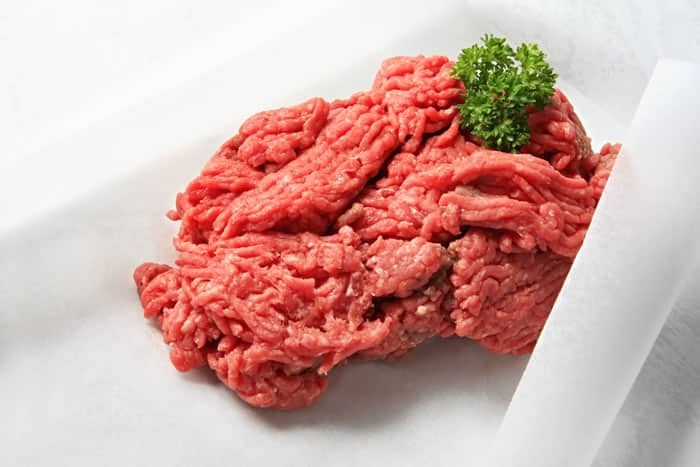 Many people make the mistake of going with the lean ground beef because it is healthier. They also assume that since it costs more, that it must be better. For some recipes, lean beef might be the right way to go, but for a burger, you should want a little bit of fat in there. The fat helps to contribute to the flavor of the burger, and it makes for a juicier end product. Going with ground beef that is around 80/20 is the recommendation that most barbecue chefs will make. 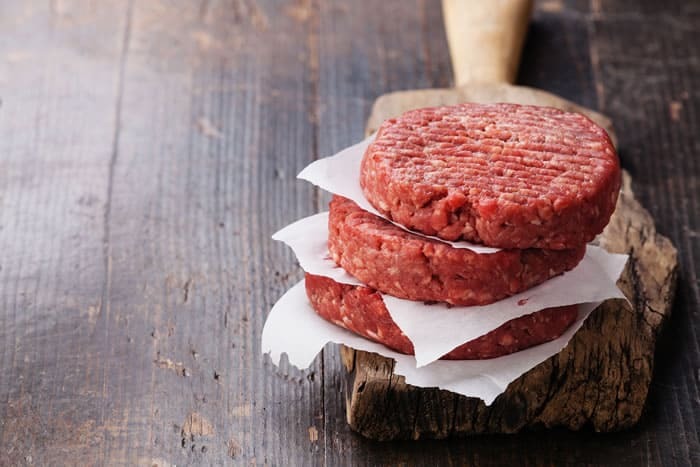 Most people just eye-up the meat to determine the correct weight and size of the patties, but having burgers that are all the same weight and size can help to improve the results. If the difference in weight is significant from one burger to the next, then they are going to cook at different rates. The smallest and lightest burger is going to cook much faster than the largest, and this will likely lead to varying results in regard to quality. 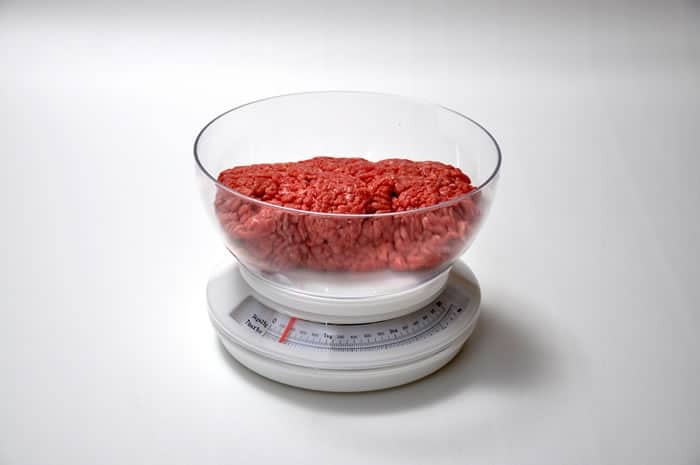 If you have a kitchen scale, weigh the burgers out before you shape them. Seasoning the burgers on the outside is fine, but seasoning the meat all the way through can make for better burgers. This is especially true if you like thick burger patties. If only the outside is seasoned, then the inside is going to be a little on the bland side. Before you start making up the patties, take the ground beef and mix the seasoning in with all of the meat. 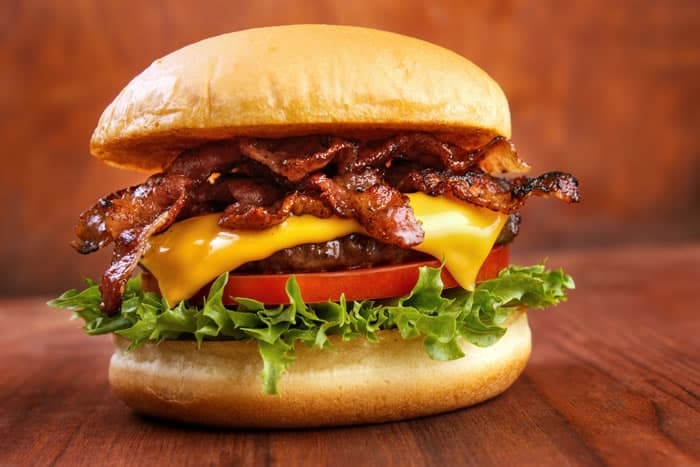 A well-shaped burger will not only look better, but it will also be easier to eat, and a uniform shape will also help to ensure that the burgers cook at the same rate. A good tip for getting all of your burgers to a uniform shape is to use the top of a jar as a mold for the meat. The top from a mayonnaise jar or a peanut butter jar will be about the right size and shape, and it can help shape every burger into a nice disc. Just be careful not to pack too much meat in there and not to be too forceful. Putting a slight indentation on the top of each patty will help them to maintain their proper shape. 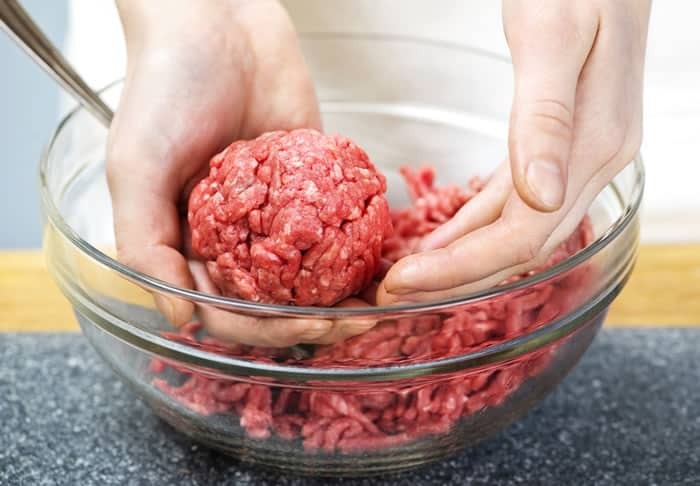 As the meat cooks, it can swell, causing the burgers to take on a rounded shape – almost like a poorly formed meatball. When this occurs, the burger won’t fit well on the bun, and it can make it hard to eat. With a slight indentation on the top of the patty, this problem can be avoided. For the best results, you want to handle the meat when it is cold. At room temperature, the fat in the meat will become softer, and it can easily transfer away from the meat. If you cook the burgers when they are cold, the heat will be more of a solid, and the burger will retain more of the juices. After you have the burgers shaped and ready, put them in the refrigerator for about 20-minutes before putting them on the grill. 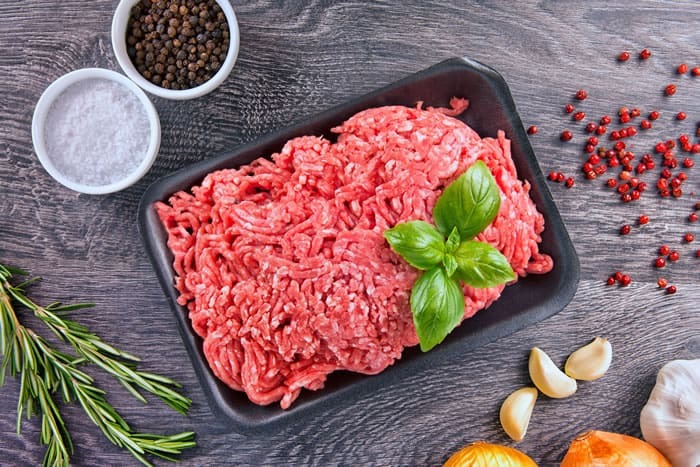 A lot of people look at ground beef and assume that since it has already been through a grinder, that it does not really matter if they are a little rough with it. When you press the meat and knead it, you are damaging the fibers and changing the consistency. Be gentle when you are adding the seasoning and use a limited amount of pressure when you shape the patties. Applying a high heat to the burgers will provide the best results. Turn the grill up and let the meat cook on high heat so that they can cook quickly. Cooking the burgers on a lower heat, for a longer period of time will dry them out. When you are standing in front of the grill with the food cooking, it can be hard just to stand there and watch it cook. You feel like you want to be more active and that you should be doing something, but in this case, less is more. When you flip the burgers too much, the meat will lose much of its juiciness and in turn, your burgers will be a little dry. You don’t have to limit yourself to one flip as many people will suggest, but try to flip the burger as little as possible. If you have made a good burger on the grill, then it is going to be juicy. With an untoasted bun, these juices are going to soak in, and the bun could start to fall apart on you. With a light toasting, it can protect the bun against this soaking and help to ensure that the whole thing stays together as it is eaten. Now you have the ten best tricks for perfect burgers every time!